Discover Clear, Beautiful Skin with Lumecca™ at Neo Surgery Center! InMode’s Lumecca™ skin rejuvenation technology is one of the most powerful intense pulsed light systems available today, delivering powerful anti-aging results in just 1-3 treatments! Harnessing the power of light with photothermolysis, Lumecca’s IPL, or Intense Pulsed Light, system delivers pulses of broad-spectrum light to gently yet precisely heat the lower layer of skin—the dermis—to quickly and comfortably reduce visible skin problems such as uneven skin tone, redness, acne, and fine lines and wrinkles. Now available at Neo Surgery Center in Beverly Hills and Santa Barbara, California, Lumecca™ is an advanced, powerful phototherapy treatment for a broad range of problematic skin concerns caused by the sun, environmental exposure, and the natural aging process. While other systems often require 4-5 sessions for optimal results, Lumecca™ delivers clear, beautiful, rejuvenated skin in just 1-3 treatments by delivering targeted healing to skin tissues at variable lengths. By stimulating the skin’s natural development of collagen, eliminating unwanted blood vessels and melanin causing discoloration, and restoring the skin to its natural state, you can enjoy refreshed, rejuvenated skin with a youthful, naturally-beautiful glow! During your initial consultation at Neo Surgery Center, we will conduct a detailed analysis of your skin type, medical history, and specific aesthetic concerns and goals, to determine whether Lumecca™ is the appropriate treatment for you. For some patients, we may recommend a combination of treatments for optional results. Lumecca™ IPL works by delivering powerful, targeted light energy deep into the skin, gently and precisely heating the upper layers of the skin. This selective photothermolysis, which is optimized for both light and dark skin, stimulates the skin’s natural production of collagen in order to replace aging skin cells, give the skin a smoother, more even texture, and fill in fine lines and wrinkles. The high peak power and optimized output of the Lumecca™ IPL system helps to reduce the appearance of small blood vessels in the skin at the root of redness, as well as reduces unwanted melanin producing pigment spots and freckles. In other words, this powerful IPL system delivers amazing skin rejuvenation in as little as 1-3 treatments, for glowing, beautiful, youthful skin! At Neo Surgery Center of Beverly Hills and Santa Barbara, California, we offer a comprehensive range of surgical and non-surgical procedures and treatments, enabling us to design a unique, fully-customized plan just for you and your active lifestyle. 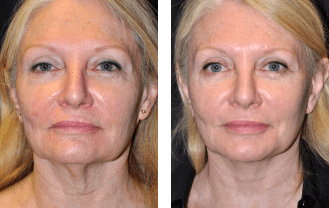 Many of our highly-effective non-invasive treatments offer powerful results without downtime, yet for those patients seeking truly dramatic and transformative results, plastic surgery may be the correct choice. Yet regardless of what treatment you select, you can be certain that Dr. Brent and the friendly staff at Moelleken Plastic Surgery will put you totally at ease and ensure that you receive the special pampering and attention you deserve! 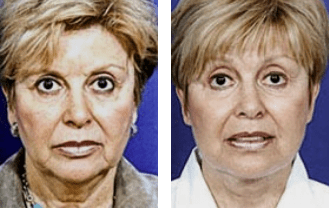 For more information on how Lumecca™ can help you reverse sun and environmental damage to restore your youthful glow, contact Neo Surgery Center to schedule your appointment today!